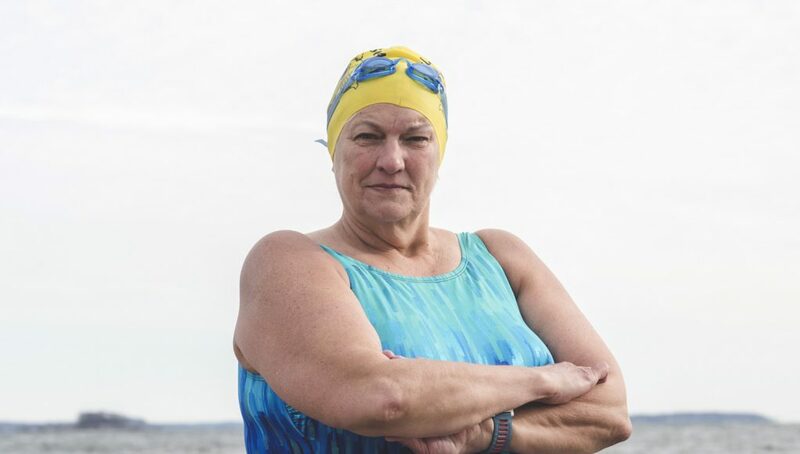 Pat Gallant-Charette has set numerous long-distance swimming records and knows it’s just as much about what goes on in your head as it is about the swimming. Like most people in the world, the movie “Jaws” scared the living bejeezus out of Pat Gallant-Charette and kept her from wanting to swim for long in the open ocean. The difference between her and the rest of us, though, is that she somehow let go of that intense fear of sharks and enthusiastically started swimming great distances across ocean channels and huge lakes. 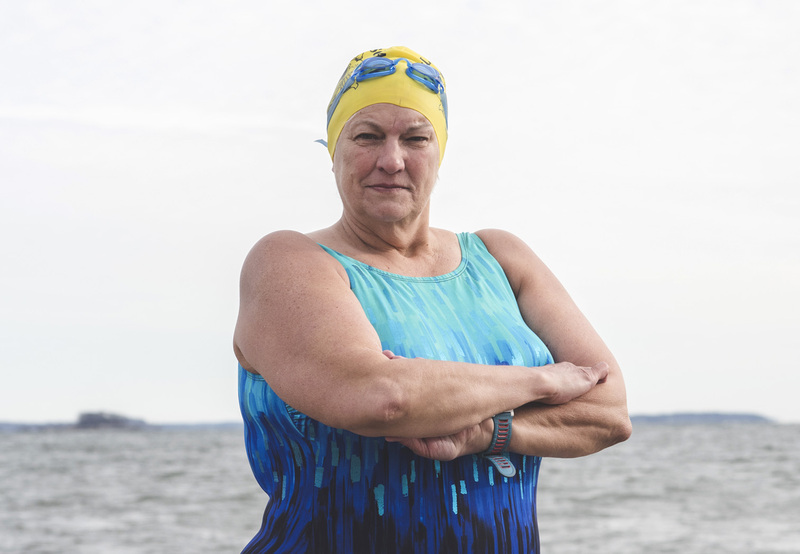 So much so that at age 67, she has been nominated four times for World Open Water Swimmer of the Year and has numerous long-distance swimming records, achievements and distinctions under her belt. 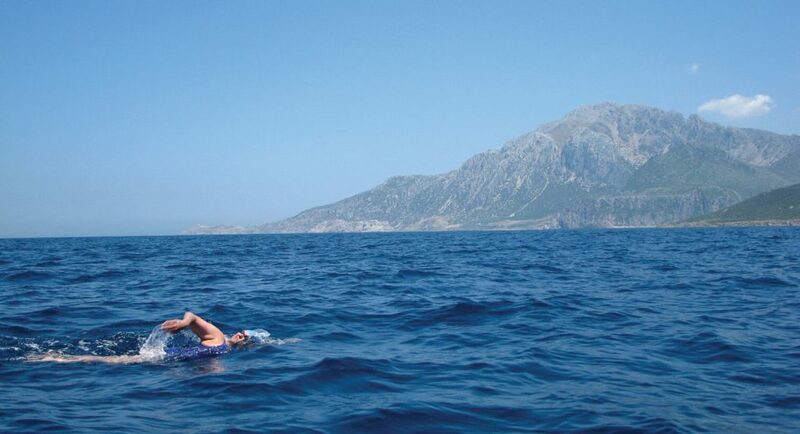 In June, for example, she swam for 17 hours and 55 minutes to set the record for the oldest female to successfully swim across the English Channel. Gallant-Charette, who lives in Westbrook, is as surprised as anyone that this is actually her life. Gallant-Charette has overcome fears that hold other people back, starting with the scary feeling she had when her son Tom asked her to join him for the 2.4-mile Peaks to Portland race 20 years ago. Tom planned to swim as a tribute to his Uncle Robbie, who swam the race many times but died of a heart attack earlier in the year. But, wanting to honor her brother, she stepped into the cold ocean water to give training a go. “I thought it was bone-chillingly cold at 64 degrees in mid-July (which she now considers balmy swimming conditions), and I thought I can’t even take 10 minutes in the ocean. But I just kept getting in and was able to tolerate it more and more each time. I’d fill my tub with ice and water and sit in it for a half hour. I slowly, slowly adjusted. I didn’t like it, but I kept at it. A two-way crossing of the lake followed, and after seven hours of swimming, she surprised herself by feeling like she could easily go farther. And thus, at age 58, she attempted the 21-mile English Channel. Just 1.7 miles from the French coast, strong currents curtailed her attempt. “After 16 hours and 43 minutes of swimming, I felt like I had a lot more in me, even though Mother Nature was not on my side that day,” says Gallant-Charette. Weather canceled her second attempt the following year, too, but in 2011, at age 60, she was victorious. Since then, many challenges all over the world have been met—always in just a swimsuit, cap and goggles—no wetsuit. She’s got a Bucket List to take care of this year alone. In June, she plans to swim 28 miles around Manhattan Island in New York. In August, she’ll try 21 miles across Lake Tahoe in California—extra challenging because of high altitudes. Then it’ll be on to Scotland to swim the very cold 23-mile length of Loch Ness, followed quickly by a 10.5-mile crossing of Lake Windermere in England. Over the course of these challenges, Gallant-Charette, who is one of eight kids and put herself through LPN training and then earned an RN degree at age 45, has learned that she’s not only got endurance, she also has gotten quite good at tuning out adversity. There’s no panicking allowed. Repeated stings by jellyfish, encounters with whales and sharks, extreme cold and exhaustion—these are met with momentary fright followed by positive self-talk. She reasons her way past the fear. 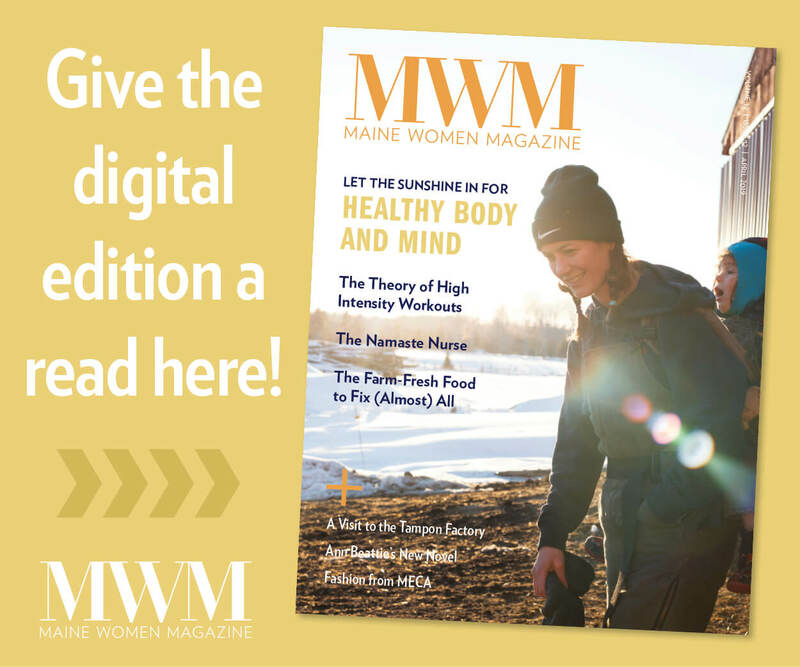 Pushing through, time and again, has taught her a lot about building self-reliance and self-confidence (enough to take part in a Swimsuits for All national photo shoot this winter), controlling stress and inspiring drive—not just in the water, but in life. Energy never seems to be lacking. Gallant-Charette is a full-time caregiver for her daughter Sarah Charette’s children, ages 9, 7 and 6, who live next door. And she’s an active grandma—she and her husband built an ice rink in her back yard this winter for the kids, the family has had fun tapping trees to make maple syrup—and so on. Sarah Charette says she is a marathon runner and better able to juggle single-motherhood in large part because of her inspiring mother. “For her, it seems like no dream is unreachable. She’s amazing,” says Sarah. “And so I tell myself there’s nothing I can’t do. Sometimes she doesn’t succeed, but she goes back and does it again until she succeeds. Pat Whitney of South Freeport, a retired teacher who met Gallant-Charette while swimming laps 12 years ago, also feels inspired by her friend. Patricia McCarthy is a long-time writer and editor. She has three daughters, lives in Cape Elizabeth, and also has a photography business (patriciamccarthy.com).